Wouldn’t you want to sit on the beach and watch the evening sunset? You can. September and October is selling out though. So, call and reserve your September Summer getaway now. R & R is always in season. The week of Sunday, Sep 9th still has some openings. And starting Sep 16th, only a 2 night minimum stay is required. Pick your length of stay, 2 nights, 3 nights, 4 nights or more. 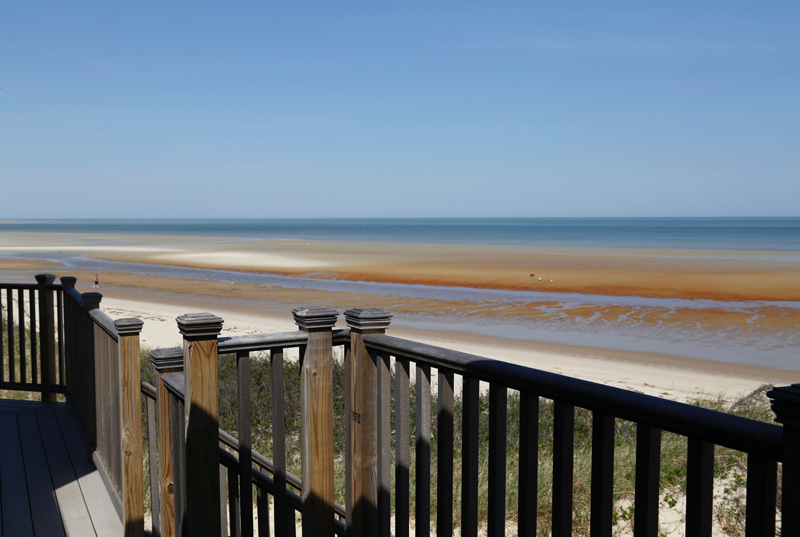 Book your preferred beachfront Apartment or water-view Cottage, all on our private beach on Cape Cod Bay in Brewster. Get the jump on a September Summer. Whether you simply need a Studio or 1 Bedroom apartment or plan to visit with all the gang, our 2, 3 & 4 Bedroom units have you covered. Most units have been renovated and updated either this year or last. Linger Longer By The Sea is rated #1 on TripAdvisor for good reason. People make great memories here and return year after year. Book now or call. Lower rates. Lots of festivals. Act now!. Gather the whole extended family and enjoy a memorable Thanksgiving together in our family cottages. The Pilgrims celebrated beachside. So should you. Give us a call to find out more.